Agriculture in South Africa is of national importance because it provides food and fibre to the population and is of strategic importance to ensure that we are not overly dependent on imports. This is the one industry where the product is a daily necessity for every person. Without food we will die. Besides, agricultural products earn vital foreign exchange for the country. We are constantly hearing nice-sounding words, for example, statements are issued by government spokespersons on the sustainability of agricultural production, food security, correct usage of the land, etc., but when we look at what happens in practice, the implementation of government policy does not always yield results that are compatible with these freely used positive-sounding expressions. Anyone who is serious about, for example, food security, the stabilising role of agriculture in rural areas, job creation and sustainable utilisation of land, is obliged to raise his concerns in a responsible manner. In dealing with these matters, it is also critically important not to deviate from the principles that ensure sustainability. The government has unfortunately already established itself as a role player whose ideology-driven political decisions carry far more weight than the implementation of correct and pure economic principles. This is indeed a serious allegation, which in Africa has already caused various countries to find themselves in deep trouble. If all role players in South Africa, including the government, do not somehow become involved in pure, rational decision-making processes very soon, this could also be South Africa’s fate. We do not in any way claim to have all the answers. The idea is to arrive at those pure principles that will direct the entire agricultural chain so that everyone (nationally and internationally) who is prepared to invest in it (whether capital, labour, entrepreneurship, etc.) will do so. A country’s agricultural policy (agricultural strategy for sustainability) should, in terms of content, for the most part be compiled in such a way that it will be able to continue directing agriculture in a sustainable manner, irrespective of the government in power and bearing in mind the distinct nature and character of the country’s own agricultural environment . This should be the approach followed by everyone who is serious about agriculture. Given certain directives that have been issued, there is a risk that role players could in time believe that they should throw overboard these pure economic principles in order to be politically correct. To follow any government blindly can at best offer short-term benefits. Economic forces (market force principle) operate relentlessly and, if the game is not played correctly and purely, everyone (also the country) will soon reap the adverse effects. A priority in the strategy should therefore be to help government achieve its targets, but on an economically viable basis. We must ensure that, where transformation takes place, it is firstly in the best interests of the beneficiary, but also in the interests of the agricultural environment and South Africa as a whole.The commercial farmer must as far as possible be strategically involved in the total food chain process according to preference, from the start until delivery of the final product to the consumer, to ensure sustainable production of essential and specific crops - this implies the entire agricultural sector. International processing trends and the implications thereof must be borne in mind, while the sensitivity of products for different markets should also be taken into account. International pressure requires that standards in respect of product handling and processing be adjusted. This is a reality that must be managed. 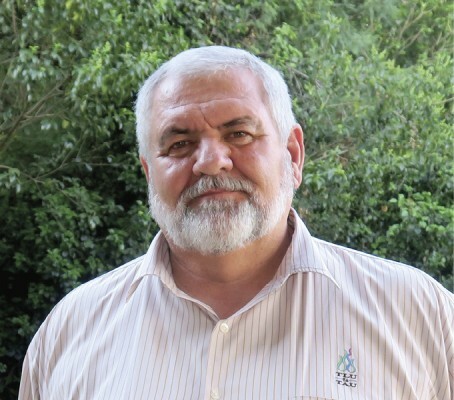 Standards are created by market forces and serve as a determining factor for market prices.Water is one of the most critical commodities in South Africa and is not adequately protected. The quality of water and the influence thereof on food safety and security are very important. The availability of sufficient and safe water is a problem for South Africa. The correct use thereof by all role players is critically important. The influence that water quality has on food safety must be properly offset. The state has taken control over available water and in the process has in fact saddled itself with a greater responsibility to make quality water available. Overall planning must be done timeously so that available water resources are used correctly. This could include entering into agreements with neighbouring countries for the possible provision of water.Water pollution resulting from mining activities (gold, silver, uranium and coal) should be strongly emphasised. Interference with soil strata releases minerals into water, which could hold a serious health risk for the population, including a high incidence of heart disease, Alzheimer’s and hyperactivity. Poor municipal management and governance are responsible for further problems relating to water pollution. Urgent attention will have to be given to restoring environments and resources. Scientific tests to determine the implications of water pollution as well as other pollution are essential and must urgently be conducted.Incorporation of all new entrants must take place on an equitable basis. The accumulated agricultural debt is of concern and serious discussions will have to take place with financial institutions in order to create practical and affordable financial packages with a view to effective agricultural financing. The banks’ approach, namely to see the farmer’s ability to repay the loan as an important criterion for providing finance, is acceptable – it must just be applied consistently to all role players.A limitation is placed on access to finance, which makes things very difficult for farmers. A financing policy must be such that the sector can survive economically and play its role unimpeded. In this regard agricultural financing is an important mechanism, but a viable approach requires thorough research. While these dire circumstances persist, financial institutions (including the Land Bank) will have to reconsider their approach.